When you’re in need of printer and copier repairs and service plans, we’re the ones you want to go to. We offer a variety of printers and copiers to meet your needs, including HP. Our selection of devices includes multiple HP devices, and we’re sure that one of the selections will suit your office needs whether large or small. HP stands out above the competition with its JetIntelligence technology, which allows the printer to operate efficiently, faster, and more secure than lesser known brands. Printing continues to improve with the introduction of wireless direct printing, which allows you and your staff to submit print jobs even when you’re not physically on the business’s network. If your sole concern is printing, the LaserJet Pro series is where you should set your sights. This line of HP products boasts print speeds of up to 35 pages per minute, which is plenty for a small office without the need for printing massive volumes of documents quickly. If 35 pages per minute sounds a little too slow for you, take a look at the LaserJet Pro MFP model instead. It offers printing, copying, scanning, and faxing functionality to satisfy all of your office needs into one machine. We can evaluate your unique situation and stand out for HP printer sales Atlanta has to offer. Once you buy your printer the journey is not over. 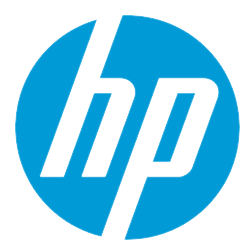 Even though HP is an established brand with a reputation for reliability, a printer is still an electronic item that takes some getting used to. We don’t send you on your way without guidance. Our job is to make sure you’re happy and help you with getting set up and choosing the optimal settings to suit your business. You can give us a call at any time if you need support or service and we’ll be there as soon as possible to assist. One of the last things you want to deal with during your workday is running out of toner cartridges for your printer. Discovering you’re out when you have a deadline to meet stresses you out and halts productivity. We keep track of your print volume and keep your cartridges supplied whenever you run low.